The Quintessence Investment Decision Support Platform can be compartmentalised into three functional categories: a Data Middleware aspect, a Function Middleware facet and the Presentation Layer. The Presentation Layer allows Quintessence to surface a company’s data and intellectual property to a multitude of tools. 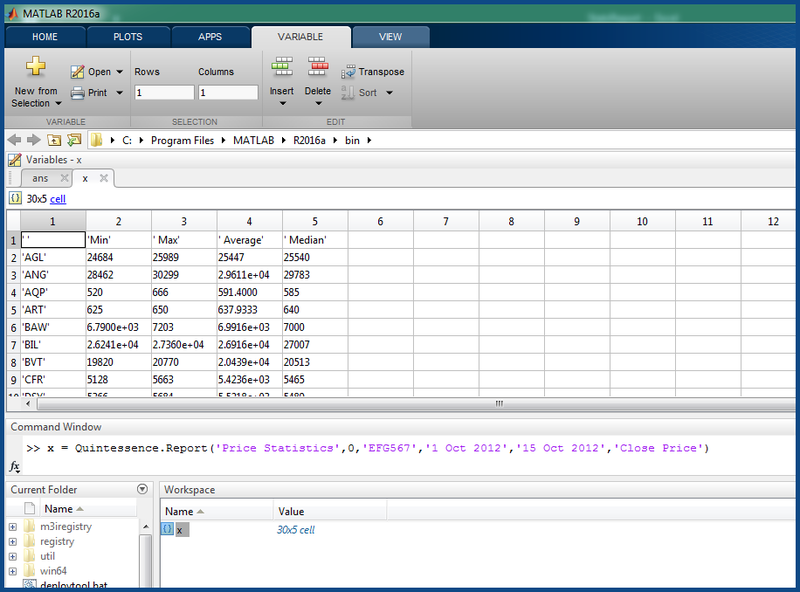 There are many environments that users use to view and further manipulate their data, such as Excel, Matlab, Python and R. Quintessence integrates seamlessly with these tools, allowing users to request data using exactly the same data functions across multiple environments. A real use case will help to illustrate the point. One of our clients is a fund manager with a large IT team focused on warehousing all the research and portfolio data in the organisation. Additionally, the company subscribes to the Reuters Quantitative Analytics Database to access all the market data required in their investment process. The primary challenge the company faced was giving the portfolio managers, investment analysts and quant-team live access to all this warehoused data. This challenge was further complicated by the fact that a variety of tools were used by the various teams. 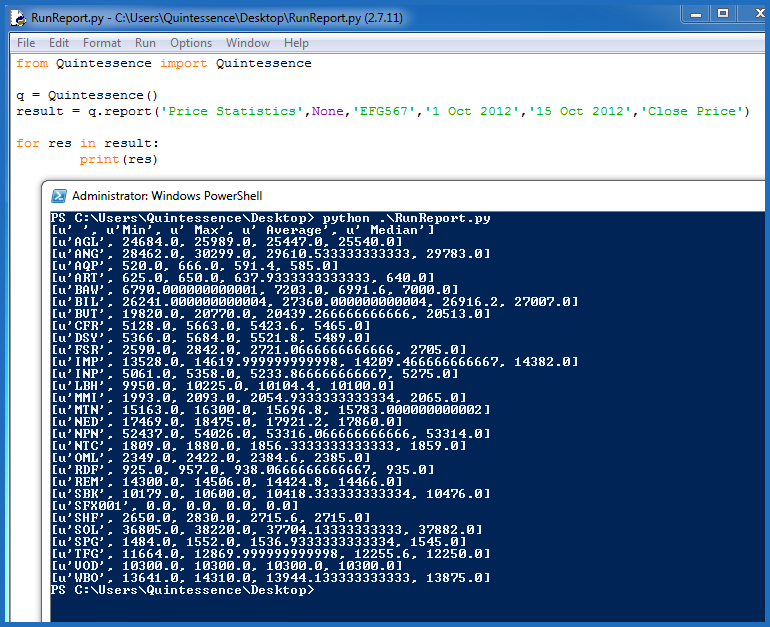 Quintessence was implemented and coupled onto both Reuters QAD and the in-house database. 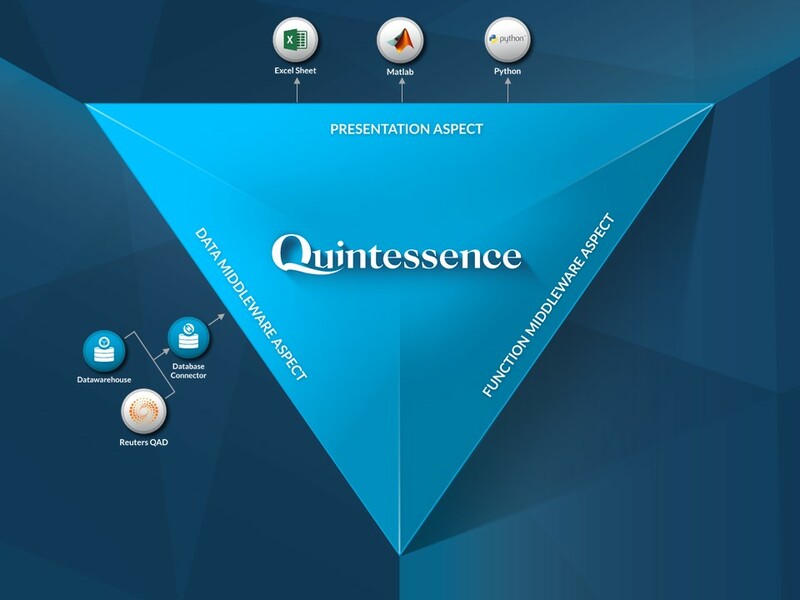 Using the Quintessence presentation facet, the client could easily surface their data as and when required to the tools used by the various teams. 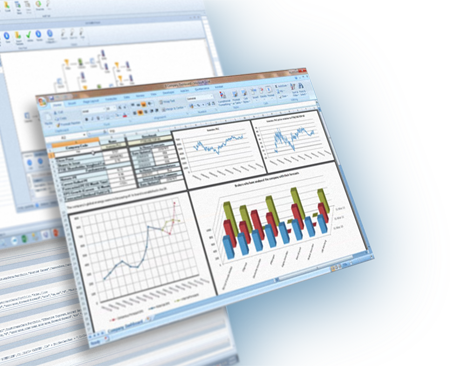 The portfolio managers and investment analysts used Excel to view and manipulate their data. They could thus use the Quintessence data functions to retrieve the data and reports that they needed. 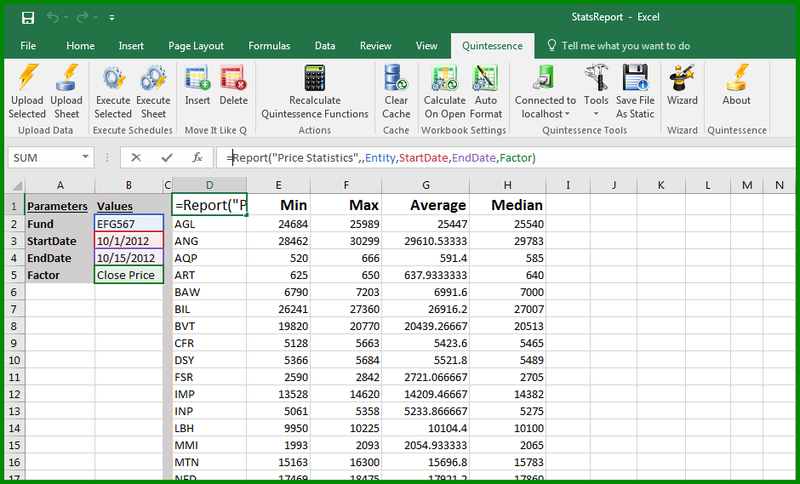 In the example below, a particular Quintessence report could be called from Excel. What’s more, the same report could also be called in Matlab, which was the tool of choice of the Quant team. The same report was also available in Python, which satisfied the use case of the in-house developers. To summarise, the Presentation Layer allows Quintessence to surface a company’s data and intellectual property to many tools. 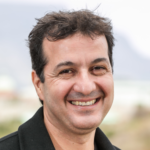 What’s more, the same functions used to request data are available in all these tools, allowing users to work in the environment which best suits them and yet ensuring all users have access to the exact same data across the organisation. Feel free to contact us for more information and to learn about additional Quintessence features. WANT YOUR SPAGHETTI KNOT UNRAVELLED? Contact us to find out how we can assist you or book a demo to experience Quintessence first-hand.